Welcome in Lombardia, the region of Milano, Como, Bergamo, Bormio, Lakes, Rivers and Mountains! Lombardy has been the land of cycling since the beginning. The first most important races as the Giro di Lombardia (1905), the Milano Sanremo (1907) and Giro d’Italia (1909) were organized in Lombardy. Even industrial bike history first started in Milano area with Ganna, Rossignoli, Colnago, Cinelli, Bianchi, Atala, Guerciotti, Dei, Masi and many other bike factories. Our tour is dedicated to Lombardy’s Legendary Climbs that have become icons of cycling itself, on which the champions became Legends too. Taking part to this trip will let you feel very close to Fausto Coppi, Gino Bartali, Eddie Merckx, Miguel Indurain, Marco “Il Pirata” Pantani and to all the other champions who left a mark on those climbs made of pain, joy, letdown, willpower and gratification. Become part of the Legend, leave your mark here and remember it for a lifetime. Welcome, warm up, but definitely not a stroll! We will meet at your hotel in Milano area or at the settled starting point. Get a substantial breakfast, it will help you! Starting from Milan we will move outside toward Brianza hillside area to reach Lecco lake, doing some up and down to warm up our legs! 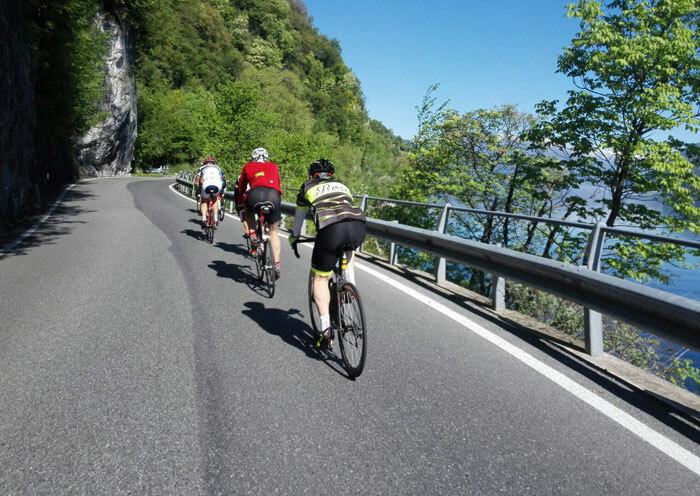 Cycling along the shore we will reach Bellagio town, the pearl of the Lake Como, known for its massive Villas and impressive landscapes. After taking some photos if you’ll like to, we will be ready to climb! From Bellagio we will start the Ghisallo climb known for the “Giro di Lombardia”. 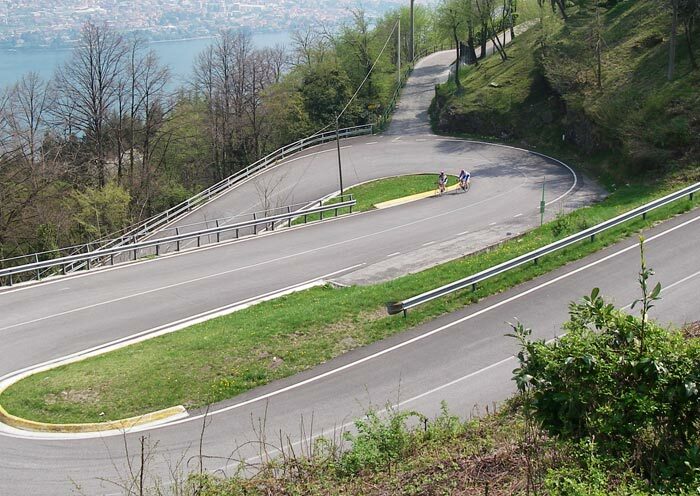 No words can be used to describe this climb, you just have to cycle and then you’ll tell us! On the top (754 meters altitude) there are the chapel with memorabilia and the cycling history museum, home to many bikes and jerseys of champions, we will take you inside, very close to the cycling legends. Inside you can shop jerseys of the Ghisallo and also fantastic memories (souvenirs)and gifts. Finished to visit the museum, after a short descent to Canzo town, we will start climb to Sormano, yes, Il Muro di Sormano, The Wall of Sormano, De Muur van Sormano. With his max(higher) steepness of 27% he is known to be one of the hardest climbs of Italy, and he is also a very good chance to test your training. Many times during the “Giro di Lombardia” he has defeated many cyclists, who lost the group and the race. At the end of the wall (1.127m) you will restart breathing, as a long descend will take us again on the shorelake to arrive finally in Como town center, where the B&B Sole e Luna will wait for us to have a rest after the first ride. It sounds like to be George Clooney waking up in his Villa, but he didn’t use to cycle hard as we like to do! It might feel like to be George Clooney waking up in his villa, but he is not usually about to face the Passo San Marco. After a breakfast in the historical center we will start the day cycling alongside the Northern shoreline that heads up to Valtellina, in Morbegno, where another top climb start. During the first part of the stage (almost flat) we will pass some famous towns on the shore of the lake: Cernobbio, Laglio, Ossuccio and Menaggio to mention some of these beautiful lake villages. Once we will reach Morbegno, in the low Valtellina Valley, we will start to climb the Passo San Marco. San Marco Pass (1.992 meters high) connect the Valtellina area with Bergamo province. A spectacular, demanding climb on the Prealps. On the top of the pass we will find a chalet where we can get a refill and restore energies. A long and technical descend will drive us to San Pellegrino Terme, a popular thermal area for our overnight stop. The Hotel Bigio, in the center of the town, will be the base from where we start the third stage the next morning- where we start the third day of the tour. This stage is considered the toughest of all the tour, here the mountains will get you an hard test for your legs and strong mentality. Remember not to give up once you will be here, you will be close to be a hero! It doesn’t matter how much time you’ll need, just do it! Starting from San Pellegrino, after a brief descent, the first climb of the day will warm up your legs (if we can say warm up), he is “Passo Zambla" (1.264 meters high). From his top a long descend will drive us to “Val Seriana” valley, located in the middle of the “Orobie Alps". From here a second long climb with some up and down will take us to highland of Clusone and facing Presolna massif, we will climb the “Passo della Presolana" (1297m). -After that we will descend the other side of it to reach the last 12 km of climb of our day, he is the “Passo del Vivione” (1828 m) in the “Val di Scalve” wilderness valley. With a 20 km descend through Paiasco Valley in Brescia province we will reach our final destination, Edolo, where we will stop for the night. 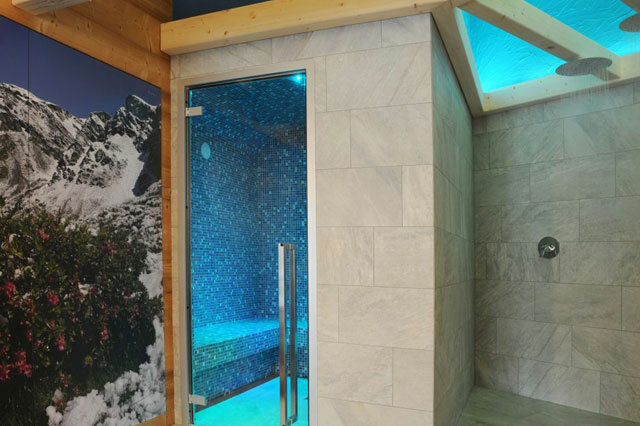 The Touring Hotel will offer the possibility to access the Spa area, also with massage treatments to refresh our legs for the last, legendary day of pure climbing. The King and the Queen are waiting for you! Meet the King and the Queen of all the climbs! Last day of cycling, you might be sad but your legs will be very happy to know it. Are you ready to meet the King and the Queen of Lombardy climbs? This day will give you the chance to leave your mark on the asphalt. A short stage but with more than 3000 meters of climb, with three different options. Starting from Edolo, after the right breakfast and a briefing about the ride, we will climb the “Passo del Mortirolo” from the easier side to reach “Valtellina” valley, going down from the other side of the pass we will reach Bormio. From here we will begin to climb the longest and hardest slope of all the tour. With his 26 km of climb up to "Rifugio Bonetta” chalet, the “Passo di Gavia” pass will give us a hard time. There are no words to describe the emotion that a cyclist can feel pedaling on this road, so you will only know it by trying! You’ll know it only by trying! 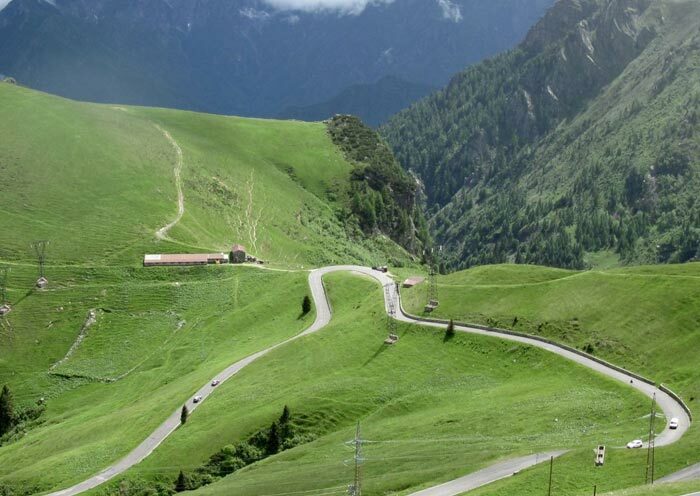 On the top, you will be part of the Lombardy Climbs Legend. Well done! 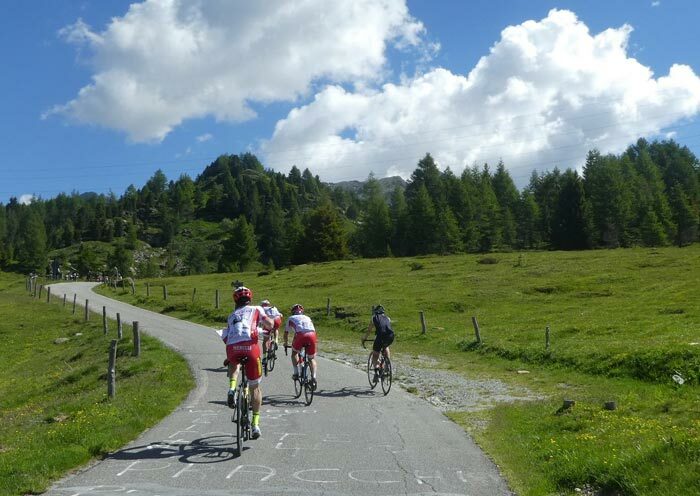 For the most trained we can choose to ride up to Aprica from Edolo (15 km climb), descend to Tirano and from there cycling along Adda river cycleway up to Mazzo di Valtellina. Once here we will be in the presence of the King, the five star climb “Passo del Mortirolo” on his most difficult side. We will face one of the legendary climb of all Alps (as you can see from Strava records) with people coming from all over the world to test themselves with the Pro’s climbing time. It’s really a challenge and data talks by itself: Length 11.8 km , Elevation 1303 m, Steepness average 11%. It’s a real challenge. After this we will face a 15 km descend to our starting point of Edolo, and from here we will start again climbing the Provincial route N.42 up to Ponte di Legno village. The second and last difficulty of the day will be waiting for us, the Queen Gavia. On this alpine road legendary pages of heroism on bike were written. The Giro d’Italia climbed this terrific road ten times since 1960 and many other times was cancelled due to snow storm even in late May. A usual data stands out: Lenght 17.3 km, Elevation: 1.363 m, Steepness average: 7,90%. 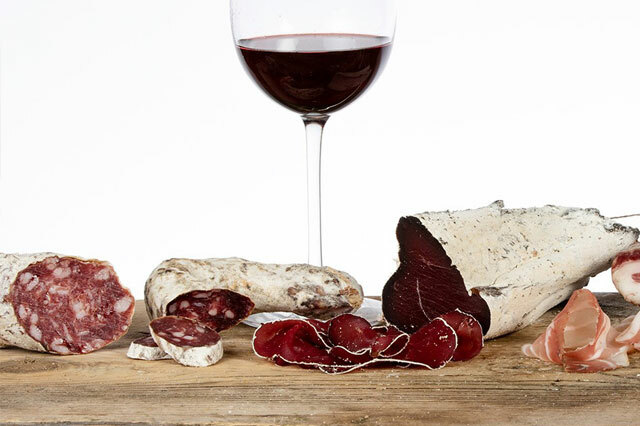 After this you will probably be satisfied, exhausted and need a super refill at “Rifugio Bonetta” chalet. Once on the top the most part of the “job” will be done! Descend to Bormio (25 km) will be an easy and exciting exploration of “Valfurva” valley and in Bormio we will find relaxing hot springs in Bormio Terme to end in the best way our challenge. Don’t miss a lifetime emotion. Bike with us “Legendary Lombardy”. The Sole&Luna project was born five years ago, after Claudia traveled for a long time, in many places and in so many different apartments. The apartments are situated in the heart of the historical center of Como, a short walk from the Duomo, Piazza Cavour, from Navigazione Lago or the beautiful Piazza San Fedele: places that make Como the pearl of the Lake. Located in the center of San Pellegrino Terme village, it is a very comfortable accommodation. The recently restyled rooms and ambients offer color variations which evoke the nature. A quiet and pleasurable experience to enjoy relax after a day ride. The park area of the Hotel Bigio is very nice to talk about the rides, to have a breakfast and to discuss the briefing before the departure of the third stage. In the city center, newly built and overlooking the main square, it is ideal for a break in total relaxation and tranquility. 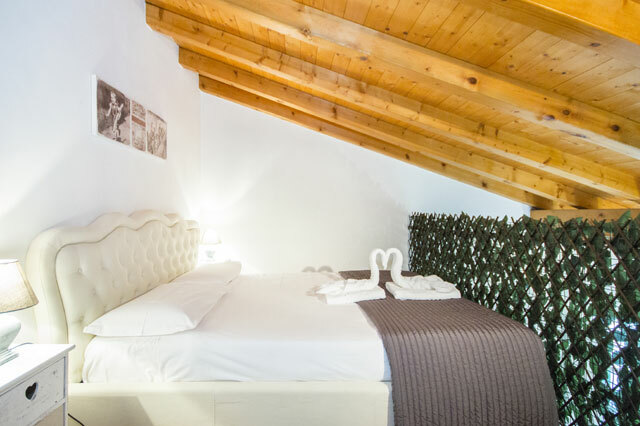 Our rooms have been furnished with a modern rustic style and materials, specially designed to give you a feeling of warmth and relaxation, while our high quality services will make your stay pleasant and unique. On the arrival after your hard cycling day, you can free your mind in our SPA covered in smoked natural wood, with the possibility to have a massage to relax your legs. Whatever the reason for your visit, Touring Hotel & SPA offers you a made-to-measure stay for you, based on your wishes. 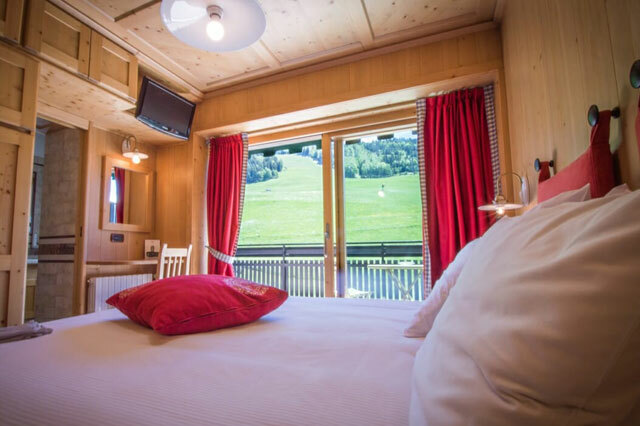 Hospitality, relaxation and wellbeing, spas and health, the flavors of the mountain, the energy of sports to be practiced, nature, the snow in a welcoming and well cared for environment, right on the ski slopes. The risk is really falling in love! • Gratuities for your Milano Bike Renting guides and drivers are not included in your trip price. We recommend tipping 7.5-10% of your trip price for the guide team. Local currency is preferred and unless you want to tip separately, guides will divide tips amongst themselves. Please tip your guides at your discretion, based on their level of professionalism, guest care and service. Each rider who will bring his bike will get a discount of 120,00€ on the price of the tour. 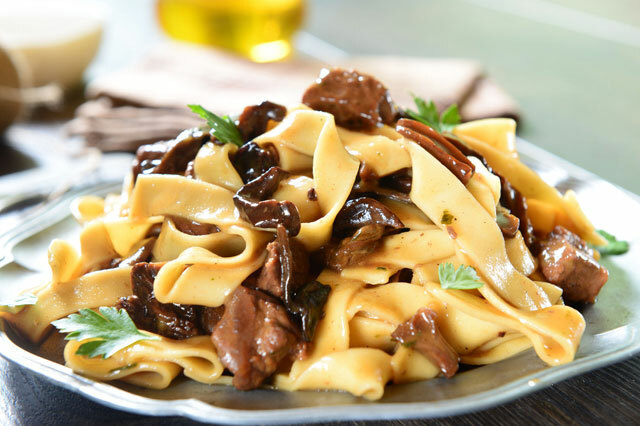 If you want to enjoy the dinners at your leisure, please contact us to define the new price and how many dinners you would like to book with us. For more than 7 people, please contact us. Every tour booked more than 250 day before its starting day will be discounted by 5%. For any further questions about the prices, don’t hesitate to ask. Our guides and options can accommodate also less trained cyclists, changing the itineraries or providing e-bikes to the riders who need them. See itinerary for specific daily ride distances and elevation options. On our vacations, Milano Bike Renting strives to find quiet, paved secondary roads or bike paths to experience a region; busy roads are avoided as much as possible. Our itineraries are an approximation of our trips. Milano Bike Renting strives to offer every guest a vacation of a lifetime on every trip. At times routes, hotels, activities, etc. listed here may change at the discretion of the trip designer or guides to improve the trip experience. 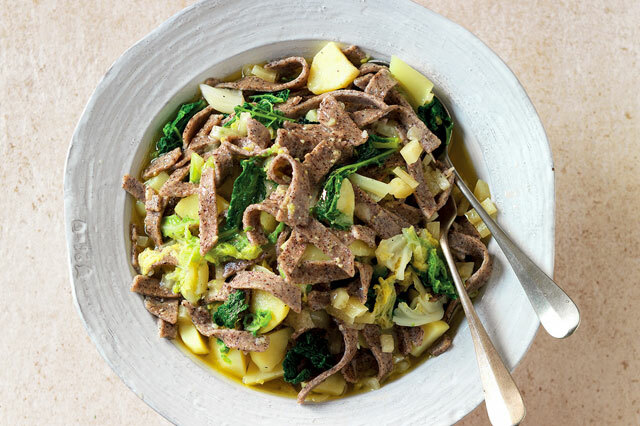 The price includes drop off at “Milano Centrale” railway station or hotels into Milano area. You can take a taxi directly to your hotel, or a bus which departs hourly to reach “Stazione Centrale” railway station. You will meet your guide and driver at the selected starting point. If you will be late for the pick-up or are going to miss it altogether, please inform your guides. You will receive an email a week before the trip start with their names and contact details. From the selected starting point we will take you to the cycling starting point to avoid the first traffic going out of the city. We will reach Monza area and we will be ready. Yes, it starts! It is time to say goodbye to the land who made us cycle for four long days. We will depart from the Hotel Funivia in Bormio at 11.00am heading to Milano. We will drop you off at your selected accommodation or at the railway station (included in the price). We can also drop you off at your selected airport (take a look at the additional services). Please note, do not book a flight before 6.30pm as it take a while by van from Bormio to reach Milano (for any questions about the timings just ask us). The tour will touch high mountain passes and the accommodations will be in the middle of Alpine valleys, so please take a look at our page about the weather. Dress in layers, and be prepared for temperature shifts between daytime and evening. Plus, make sure to bring wet-weather gear just in case. Once you have submitted your reservation form, a Trip Consultant will contact you within two business day to complete your reservation. Our Trip Consultant will confirm bikes and rooms availability and finalize your booking once your trip deposit is paid. When you decide to reserve your trip, the full amount is due at the time of booking. Please Note: Your reservation will be confirmed when our confirmation module will be sent. When a trip is booked, a guest confirmation letter is immediately sent out. One month and ten days prior to the trip start, you’ll receive an email containing your trip start meeting location reminder and any last-minute information that you’ll need to know before you go. Once you arrive at your destination, Milano Bike Renting staff will brief you on the day-to-day plan for the trip and provide you with daily route guides and a detailed map allowing you to ride with complete confidence. We understand things happen in life and sometimes you have to cancel or change your bike tour. We want to make it as easy as possible and below you’ll find our timeline. Milano Bike Renting does not offer a travel protection plan that provides coverage for unforeseen events that could affect your ability to travel with us. Milano Bike Renting does not offer an insurance against injury. Milano Bike Renting recommends that you purchase a travel protection plan to help safeguard you and your travel investment against the unexpected. Taking part to a trip designed and organized by Milano Bike Renting means to enjoy a different experience, designed by locals, to let you cycle like a local. Our tours are the results of the knowledge of the area, designed by cyclists, who spent over 30 years cycling in Lombardy and all around Italy. All the trips born from the passion that we have for cycling. Our mission is to make you sense the same we feel when we cycle in our beautiful Country. The dynamo behind the country’s “economic miracle” in the 1950s, Milano is an Italian city like no other. It’s foggy in winter, muggy and mosquito-ridden in summer, and is closer in outlook, as well as distance, to London than to Palermo. It’s a historic city, with a spectacular cathedral and enough ancient churches and galleries to keep you busy for a week, but there are also bars and cafés to relax in, and the contemporary aspects of the place represent the cutting edge of Italy’s fashion and design industry. Milan wears its history on its well-tailored sleeve: medieval buildings nestle next to nineteenth-century splendour, rickety trams trundle past overgrown bombsites left from World War II and Fascist-era bombastic facades. But the Milanese keep the best for themselves: peep through a doorway into one of Milan’s fabulous courtyards and you will be smitten. The obvious focal point of central Milan is Piazza del Duomo, which, as well as being home to the city’s iconic Duomo, leads on to the elegant Galleria Vittorio Emanuele and Piazza della Scala, home to the world-famous opera house. Heading northwest from Piazza del Duomo along the shopping street of Via Dante takes you to the imperious Castello Sforzesco and the extensive Parco Sempione beyond. North, the well-heeled neighbourhoods of Brera and Moscova are the haunt of Milan’s most style-conscious citizens. Here you’ll find the fine-art collection of the Pinacoteca di Brera and, nearby, the so-called Quadrilatero d’Oro (Golden Quadrangle), a concentration of top designer fashion boutiques. Slightly further north is Milan’s most pleasant park, the Giardini Pubblici. Southwest of the Duomo, the shopping streets of Via Torino take you to the Ticinese district, a focal point at aperitivo time, and home to a couple of the city’s most beautiful ancient churches. Continuing south to the Navigli leads to the bar and restaurant area around the city’s remaining canals. West of the cathedral, the Museo Archeologico gives a taste of Roman Milan, while the basilica of Milan’s Christian father, Sant’Ambrogio, is a couple of blocks away. A little further west stands the church of Santa Maria delle Grazie and the adjacent refectory building, holding Leonardo da Vinci’s The Last Supper. Talking about bikes and cycling history, Milan is home of many bike factories, Ganna, Rossignoli, Colnago, Cinelli, Bianchi, Atala, Guerciotti, Dei and Masi just to name some of these. Some of the factories can be visited. Also, in Milano is located one of the icons of cycling. The Velodromo Maspes - Vigorelli. Velodromo Vigorelli, from 2001 officially Velodromo Maspes-Vigorelli is a 397-metre (434 yd; 1,302 ft) semi-covered velodrome in Milan, Italy. It is currently used mostly for American football events. The stadium holds 9,000 people and was built in 1935 by Vigorelli Cycles. It was burned down during the second world war after bombing of Milan by the RAF but then rebuilt. The stadium was home to the hour record from 1935 to 1967 and the one-hour tandem record of Ernest Mills and Bill Paul from 1937 to 2000. It hosted the UCI Track Cycling World Championships in 1939, 1951, 1955 and 1962. After years of neglect and planned demolitions, campaigning by local enthusiasts led to the approval by local authorities in March 2014 of plans to renovate the velodrome. The hour record for bicycles is the record for the longest distance cycled in one hour. From 1935–1967 it was set exclusively at the Velodromo Vigorelli by nine different cyclists in 10 rides. In 1935 Giuseppe Olmo took the record by covering 45 km (28 mi), exceeding the distance set at Sint-Truiden in Belgium by 313 m (1,027 ft). He established the track's reputation as fastest in the world. From 1936 Maurice Richard, Frans Slaats, Maurice Archambaud, François Faure, Fausto Coppi, Jacques Anquetil, Ercole Baldini and Roger Rivière added a further 2,257 m (7,405 ft) to the record. Under the velodrome is located the historical workshop of Faliero Masi, founder of Masi Bicycles, now owned by his son Alberto. Take some days before the tour to enjoy Milano, feel the passion and cycle with another point of view! 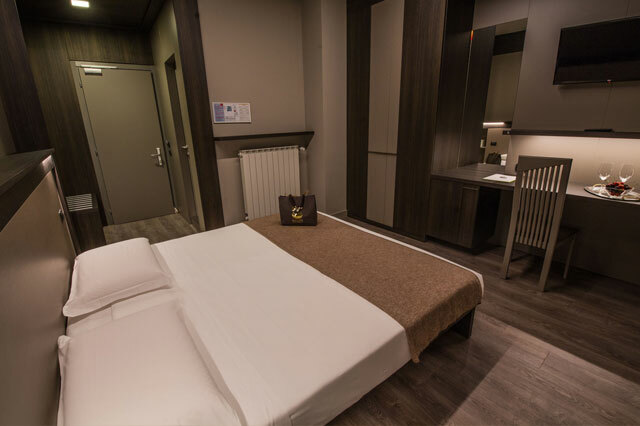 We recommend the following accommodations for your pre and post-trip hotel in Milano, sorted by night fee average. Following here you can find all the additional services that Milano Bike Renting offers to complete and customize your experience during the “Legendary Lombardy” bike tour. Take a look at the suggested hotels, you can decide to book them by yourself or just ask us! Ask us for any suggestion! We can help you out at our best!